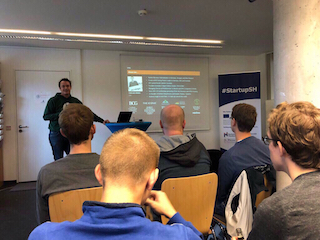 At our 5th ProLab we invited our students and prospective entrepreneurs to gain insights and know-how regarding the financing of startups and learnings about venture capital. Welcome to the next version of our beloved Start-Up convention! 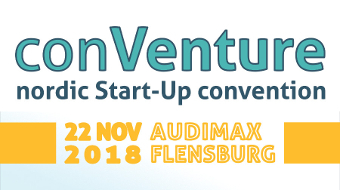 We look forward to welcoming you at our extraordinary conVenture on the German side: conVenture - nordic start-up convention in the Audimax in Flensburg on 22 November 2018 at 4 p.m. Note: this article is written in German. 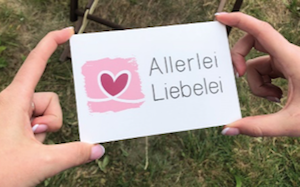 Mit Allerlei Liebelei haben die beiden Gründerinnen Lea und Merle eine Marke geschaffen, unter der sie ihrer Kreativität und ihrem verspielten Sinn für Gestaltung freien Lauf lassen können. Ob Postkarten, Schreiblöcke, Notizblöcke, Rezeptordner, Tassen oder Sticker – ihre Leidenschaft findet sich in jedem der Produkte wieder. The e-mobility start-Up IO-Dynamics developed an innovative solution to make the charging process of electrical vehicles smart. 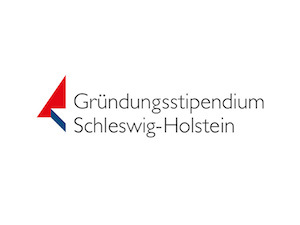 With this idea, the three students from the Hochschule Flensburg convinced the Jury of the scholarship "Gründungsstipendium Schleswig-Holstein".